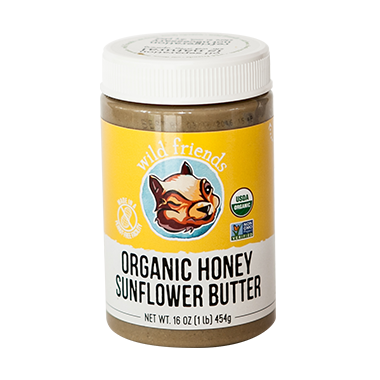 An all natural sunflower butter! Made with friendly ingredients, a clean nutritional panel and 100% non GMO. Contains: Sunflower Seeds. Made on Equipment Which Also Processes: Tree Nuts, Wheat, Soy and Sesame. Made in a Peanut-Free Facility. I was disapointed by both the texture and the taste of this. I would not recommend this. Found this at Costco while in the States - so happy to find it here in Canada (actually that's how I found this AWESOME site - googling this butter for sale in Canada! Yay!). Honey Sunflower Butter is THE yummiest butter ever! Amazing on celery AND rice cakes. So creamy - Addicted!